On April 27th our team, Mechanical Mayhem, with our alliance partners The Killer Bees (33) of Auburn Hills, Michigan, and team Las Guerrillas (469) of Bloomfield Hills, Michigan, claimed first place in the Archimedes Division at the FIRSTRobotics Championships held in Saint Louis, Missouri! 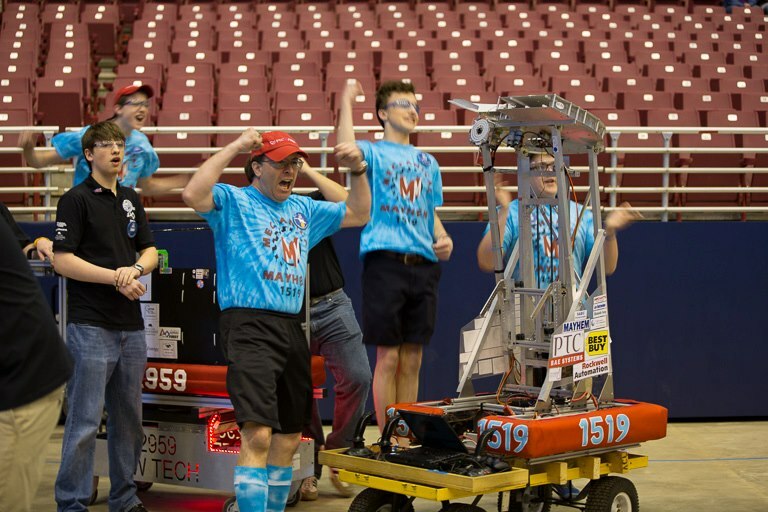 Winning our division earned our strong alliance the privilege of competing in the playoff matches against three other division Champions during the culminating ceremony on Saturday afternoon. Our alliance defeated our opponents in the Championship semifinal round in order to progress to the World Final matches against an alliance composed of Texas Torque (1477) of The Woodlands, Texas, Theory6 (1241) of Mississauga, Ontario, Canada, and The Coyotes (610) of Toronto, Ontario, Canada. Our alliance sprung out to a quick 1-0 lead in the best-of-three finals, but fell short in our goal to emerge as World Champions. Instead, we were awarded the World Championship Finalist award for our silver-medal finish. 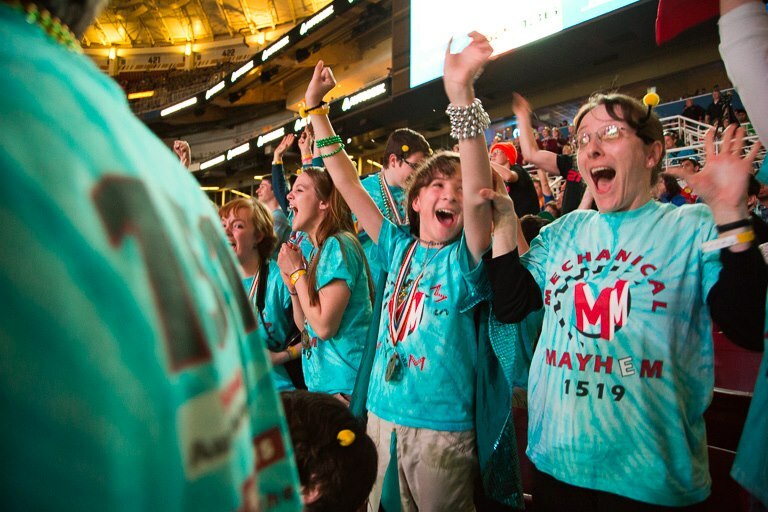 At the FIRST Robotics 2013 World Championships, four hundred out of 2,548 teams worldwide competed with robots they designed and built to throw Frisbees into goals and climb nine-foot steel pyramids. After 134 qualifying matches, the top eight teams of each division chose their alliance partners to continue into the playoff rounds. 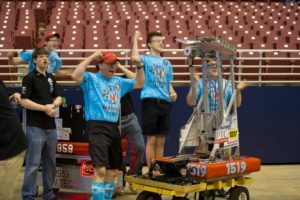 We were ecstatic when the second-ranked team chose Mechanical Mayhem for our ability to score Frisbees sixty feet across the full length of the field.